Tucker Trail Fenders and stirrup leathers assembly. 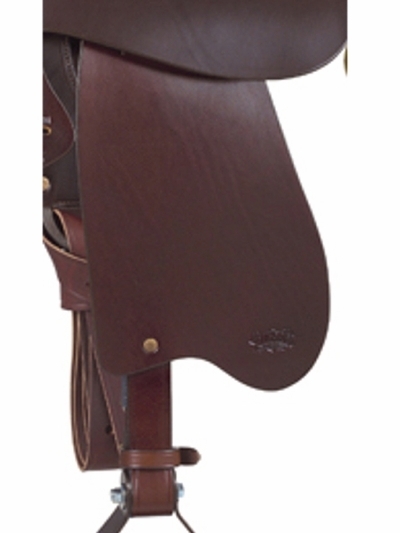 As on Tucker Endurance saddle. 1 1/2" wide leathers with Blevins slide buckle adjustment. Top of fender to tip of tear drop shape: Short 16"; Medium 19"; Long 22". Stirrup leathers: S-54"; M-60"; L-67". Fit inseams: S-25"-35". M- 28"-38". L- 31"-41". Black, brown or golden color. Copper riveted. Smooth, no tooling. Sold in pairs. Fenders only-does not include #272 hobble straps or stirrups.